Drinking green tea may prevent a deadly condition in which the body’s main artery becomes overstretched and bloated, a new study has claimed. Researchers at Kyoto University in Japan found that abdominal aortic aneurysm developed less frequently in rats that drank green tea polyphenol, a major component of green tea. Without treatment, abdominal aortic aneurysms eventually rupture and lead to death 50 per cent of the time, researchers said. “Abdominal aortic aneurysms often go unnoticed because there are no symptoms until they burst,” said Kenji Minakata, author of the study. “If a patient is lucky and bloating is found before rupture, it needs to be treated surgically, such as by transplanting an artificial blood vessel or inserting a stent graft. At the moment there are no pharmacological treatments,” said Minakata. Recent research has pointed to a host of health benefits from drinking green tea, including the prevention of cancer, cardiovascular disease, inflammation and oxidation. “The type of polyphenol found in green tea has recently been shown to regenerate elastin, an essential protein that gives the artery its stretchy texture,” said lead author Shuji Setozaki. “Considering that abdominal arterial aneurysms are caused by inflammation and the degradation of elastin components in the arterial wall, we thought drinking green tea may show promise for treatment,” said Setozaki. 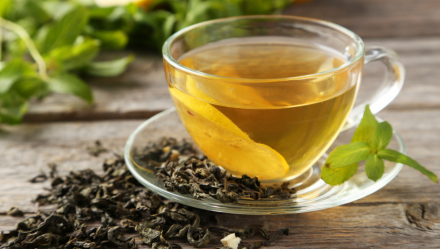 In the study, the team treated rats with enzymes that induce abdominal aortic aneurysm, and found that the condition developed less in rats that drank green tea polyphenol. They also saw less inflammation and more elastin production, protecting the artery from rupture. “Japanese people have the longest lifespan in the world, and studies show that 80 per cent of the population drink green tea on a daily basis,” said study co-author Hidetoshi Masumoto. “We believe daily intake of green tea should be considered as a new preventative strategy for abdominal aortic aneurysm; the focus of future studies will be to investigate optimal doses,” Masumoto added.